I am trying to create a promotion using 'Buy X get Y', but is not working. I put the name and everything. I followed your tutorial but I must miss something. Anders from the Shopify Social Care team here. Hope you're doing well today. 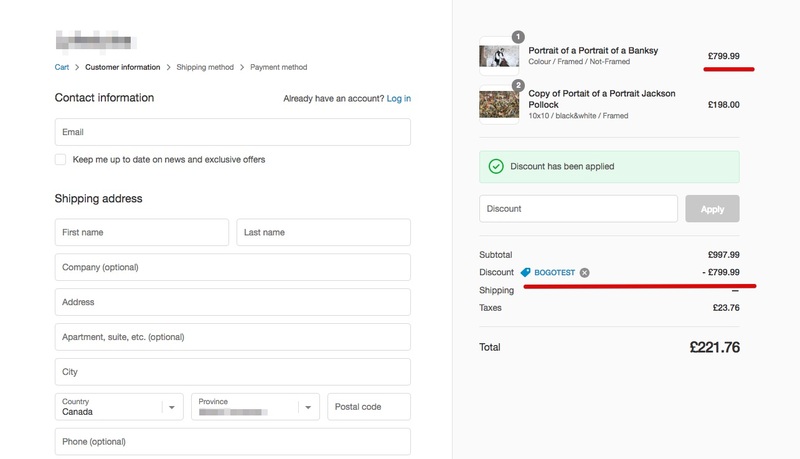 If you have placed a test order and the discount code does not work, I suggest checking that the discount is published and ready to use. If you run into any troubles with this, let me know! HI Anders. 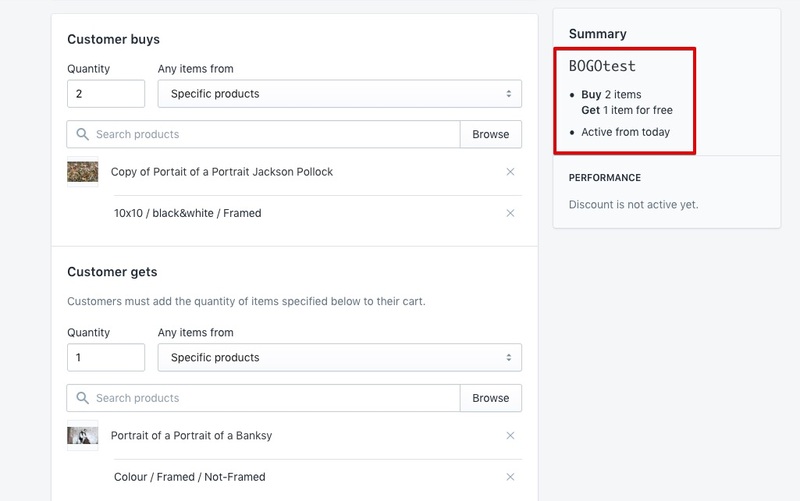 With the new BOGO discount feature, is it possible to have multiple sets of products that are eligible for the discouunt? For instance if I have a BOGO 50% Off and the customer purchases 2 items, it's fairly simple. But, what if they purchase 4 items? How can I make it possible for them to get the discount on 2 of those items vs just the one? The name of this discount system is actually known as 'Buy X, Get Y' as the quantities for both can be changed. I used the BOGO model as an example due to the original question. We also have a guide on this process available here. Follow back up if you have more questions! I have the same problem, but a diffrent issue. GOBO does not seem to work with product collections. I get the "Your cart does not meet the requirements for the MULTITOOL discount code" error. The automic discount cannot combine with other discount. Hi, I have a same problem. 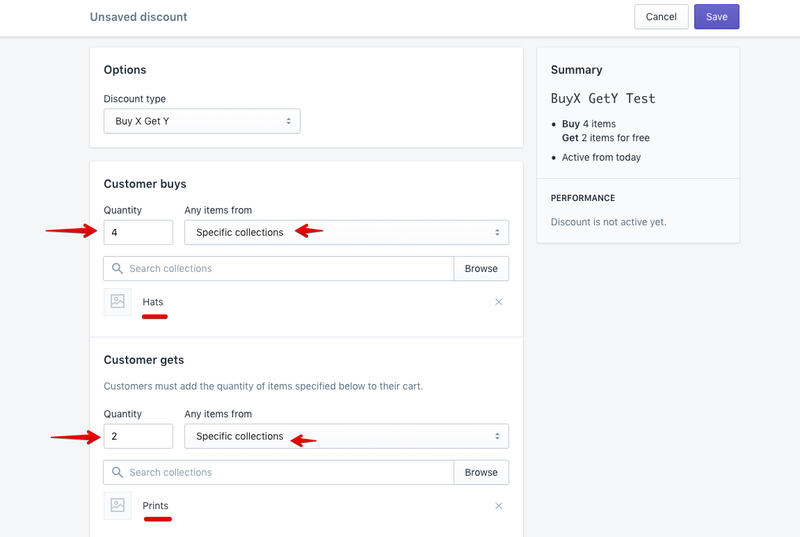 I created BOGO and its showing active in shopify platform. But I tested in website and its not working. Kindly help me out of this. You can manually add 1 product more to check the bogo. Hey Solene, Bobby from the Bold Team here. Some great pointers already posted here. Another route you can take is using a combination of our Bold Discount & Bold Upsell App. The nice thing about going this route is that it doesn't require any discount codes and it display a popup with the BOGO offer to help promote it. We made a tutorial so that you can easily set this up. Check it out here. To create discount campaign or countdown timer or stock countdown for your online store, try out the Discount Master app for free.